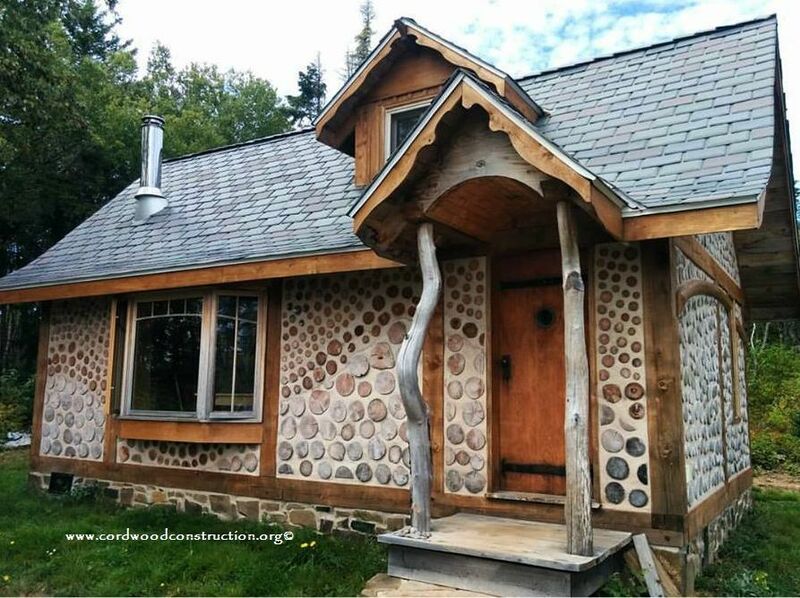 Michael Fuller designed & built this beautiful cordwood cottage near Diligent River, Nova Scotia. 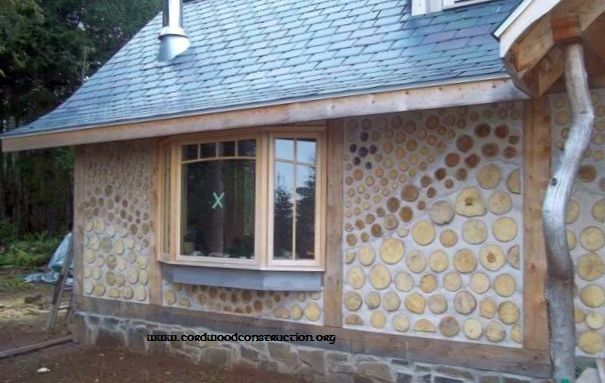 There is a subtle swoosh motif with the cordwood and an interesting curved horizontal post mortared into the side wall. He is a designer, a builder and an artist. Michael also wanted me to inform you, that he has 10 face cords (320 sq. 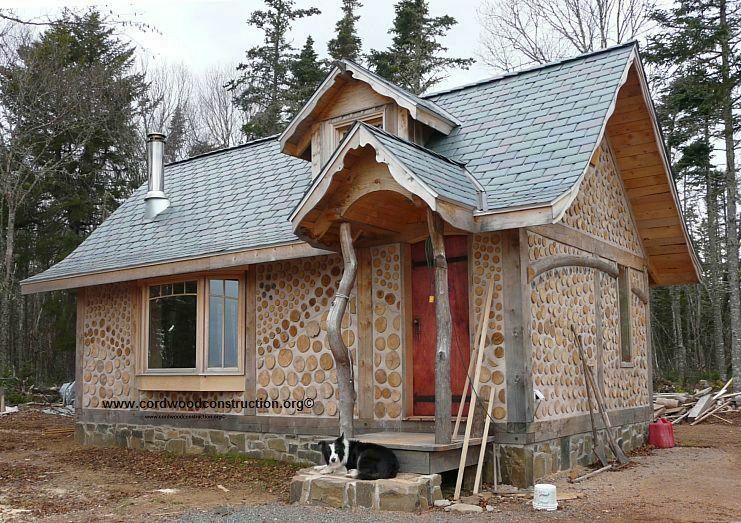 ft.) of spruce FOR SALE that is peeled, dried and ready for cordwood building. Michael says you could build a similar size house like the one pictured (384 sq. ft.). You can see that Michael has an eye for detail and design. He promises to send me more photos once he get the floor stained and the tools cleaned up. I look forward to more! 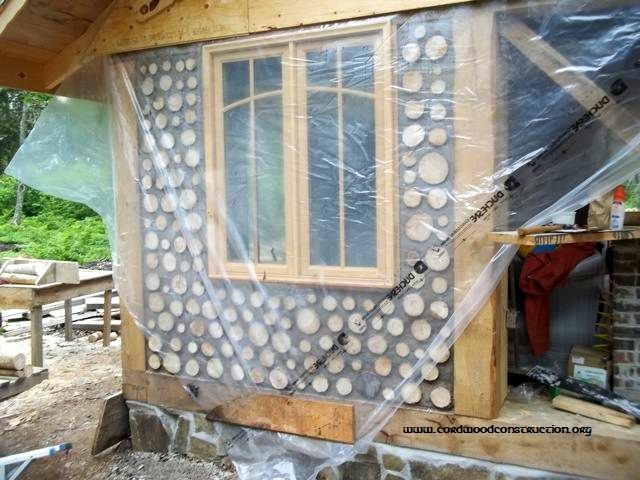 Below, the most recent photo of the cabin. Very attractive. Love the swoosh!